Outside the Frame changes how homeless youth see and are seen through film. We host film workshops for homeless youth at social service organizations. The Social Justice Action Center is a perfect place to continue weekly meetings where the young people commune and continue to hone their craft. The SJAC overflows with the positive energy and potential of all the do-gooders that use it. 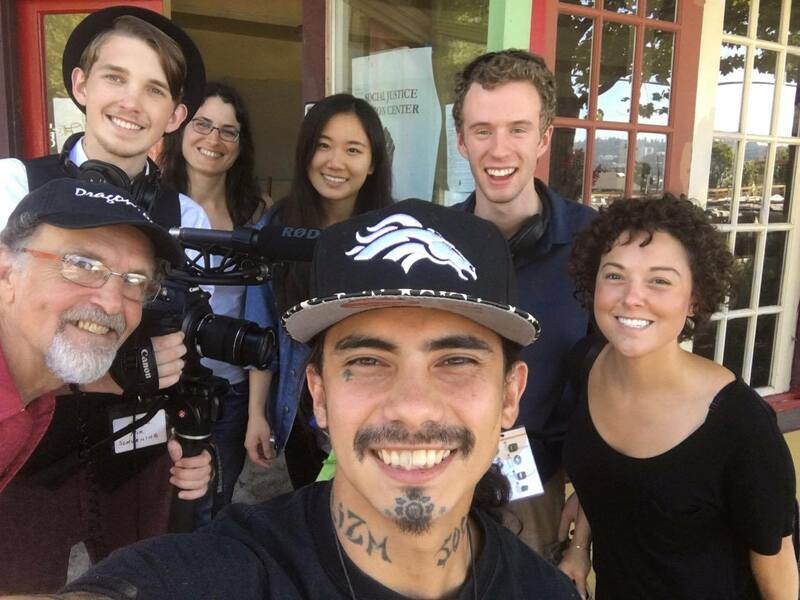 Below is a photo featuring Talilo Marfil, our board member and program alum, and a group of Journalism students from the University of Oregon who were doing a piece about Talilo and Outside the Frame.